With the Election Commission expected to announce Lok Sabha polls anytime now, the Delhi government Friday cleared a number of proposals, including those relating to over 18 per cent hike in auto fares and construction of integrated campus of GB Pant Engineering College. The fare hike was a long-pending demand of auto-rickshaw drivers who are considered a vote bank of the ruling AAP, and the move is seen as an attempt to pacify them just before the general elections. 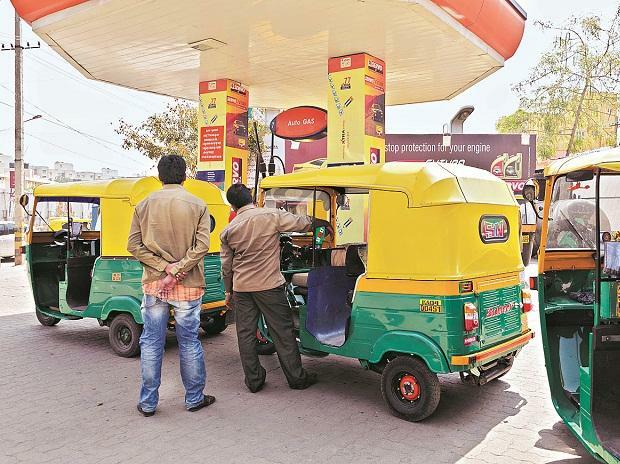 According to the government, the Delhi Cabinet Friday approved recommendations of a fare revision committee to hike auto-rickshaw tariffs by Rs 1.50 per kilometre. The meter-down charge of Rs 25 per two kilometres has also been revised by the committee to Rs 25 for 1.5 kilometre, said Transport Minister Kailash Gahlot. The Lok Sabha poll schedule is likely to be announced in the next few days. Once the model code of conduct comes into force, any party in power cannot announce any major policy decision. In an official statement, the government said the Cabinet also approved construction of an integrated campus of GB Pant Engineering College and Polytechnic at Okhla Industrial Estate at an estimated cost of over Rs 520 crore. "GB Pant Polytechnic has been functioning in an old building since 1961 and GB Pant Engineering College has been functioning in old hostel buildings of the polytechnic with poor infrastructure facilities which is insufficient for any educational institution," the statement read. The Cabinet accorded its administrative approval and expenditure sanction for the PWD's proposal for the revised cost of the corridor improvement project of Outer Ring Road From IIT to NH-8. The Expenditure Finance Committee (EFC) at its meeting chaired by Deputy Chief Minister Manish Sisodia Friday cleared several projects. The EFC has cleared a proposal of the Directorate of Training and Technical Education to construct smart classrooms in Netaji Subhas University of Technology Campus in Dwarka at an estimated cost of Rs 26.79 crore. A proposal of the Health and Family Welfare Department was also approved by the committee for the construction of double-basement building for establishing new block for Medicine, Maternity and Advanced Paediatric Centre at Lok Nayak Hospital at an estimated cost of Rs 533.91 crore.